New High River Golf Course Community Reviews you provides information so more residents are aware and informed by leaving a High River Golf Course community review Are you a homeowner, renter, business owner or student living in High River Golf Course? Or are you a homebuyer looking to purchase a home? Thankyou for leaving a Community REVIEW as it lets everyone know what you think about the community of High River Golf Course. How are you connected to High River Golf Course? 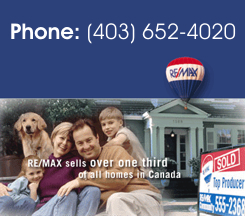 Why High River Golf Course Community Reviews are important?